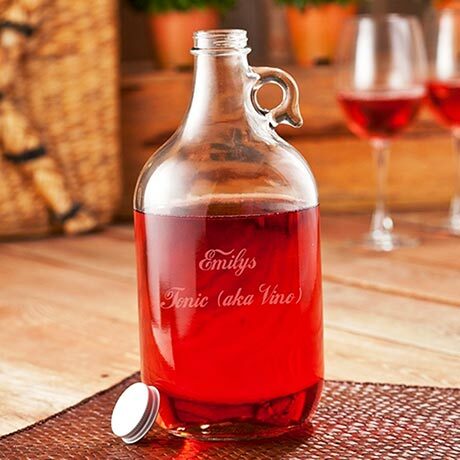 Personalized Wine Jug is the perfect container for 64 ounces of wine, cider or any other beverage. 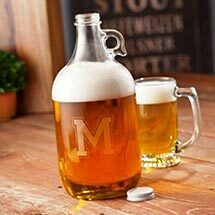 Tight fitting twist off cap, heavy thick glass and sturdy carrying loop make it ideal for all of your parties and celebrations! 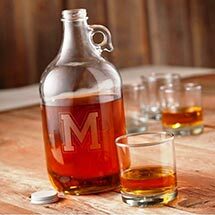 Personalize with detailed etching of 2 lines of up to 15 characters per line. Allow 2-3 weeks for delivery. 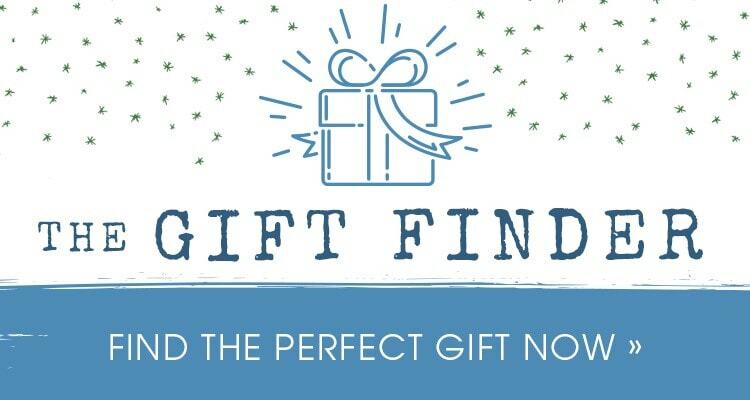 No rush or gift box. Item can only be shipped within the Continental US.